I set out to create little islands of constructive education. Along the way, I found myself on the path of satisfactorily successful endeavors, of delivering quality education. Partly personal strength of purpose, partly the acceptance of the masses; is what makes the Sherwood Educational Group story. Establishing institutions that turn into incubatories of the mind; has been my sole ambition. Sherwood College of Management SCM, Lucknow offers various graduate courses as well as Post Graduate courses. Sherwood College of Management SCM, Lucknow is affiliated to Dr. A P J Abdul Kalam Technical University Uttar Pradesh (APJAKTU), Lucknow. 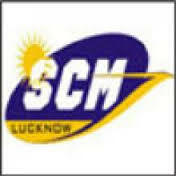 List of facilities available at Sherwood College of Management SCM, Lucknow for students.